Pet friendly for small to large dogs. 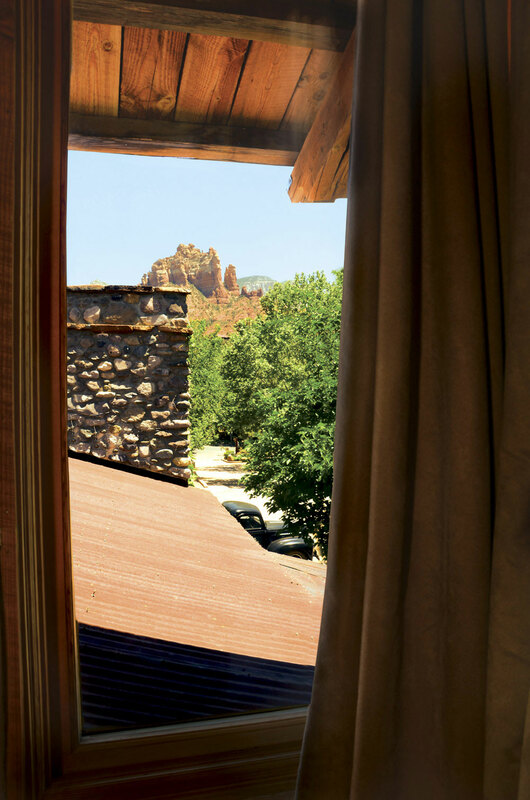 The Rim View is one of our largest Sedona accommodation suites. This second story room offers a generous corner of bay windows with lovely views of the distant Rim through Oak Creek treetops. 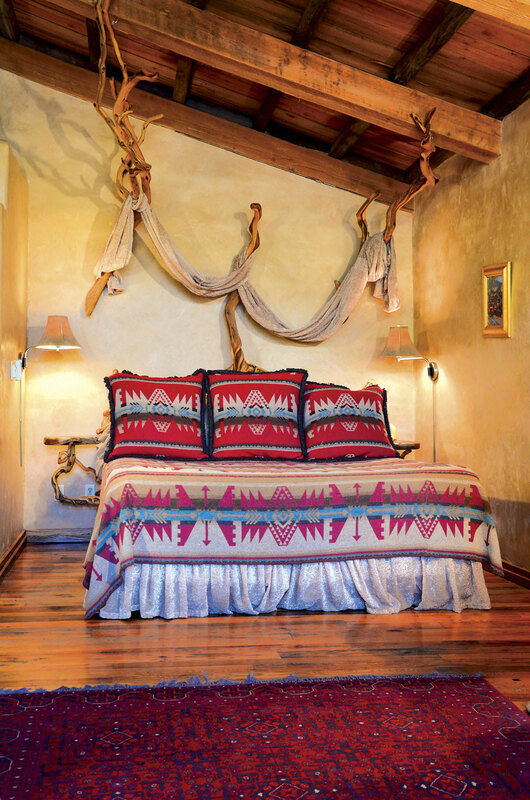 This boutique hotel room features a unique king-sized juniper bed tucked into a cozy alcove, as well as a queen-sized sleeper sofa in the spacious sitting area, which can accommodate extra guests. The rustic exposed beam ceilings and handsome oak floors make this a comfortable and appealing living space. 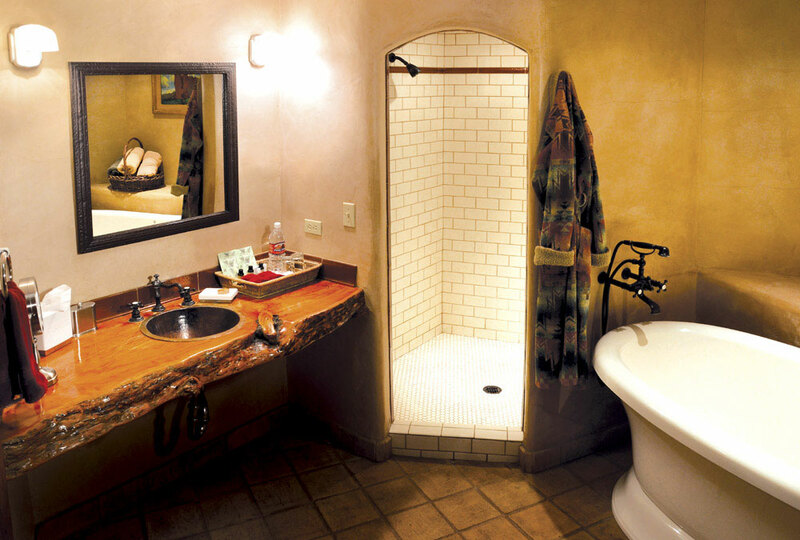 The bath features a hot air whirlpool tub, stained glass accents and separate shower with copper tile work. 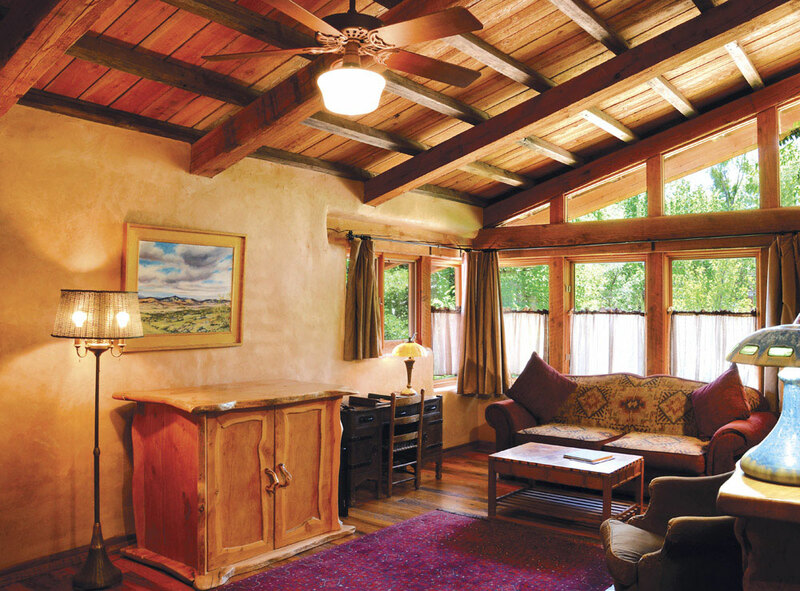 This is a pet friendly Sedona room for small to large dogs.